Ho Ho Ho! 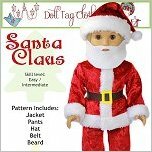 Make a jolly Santa suit with the festive pattern. Play with different fabric textures for different looks. 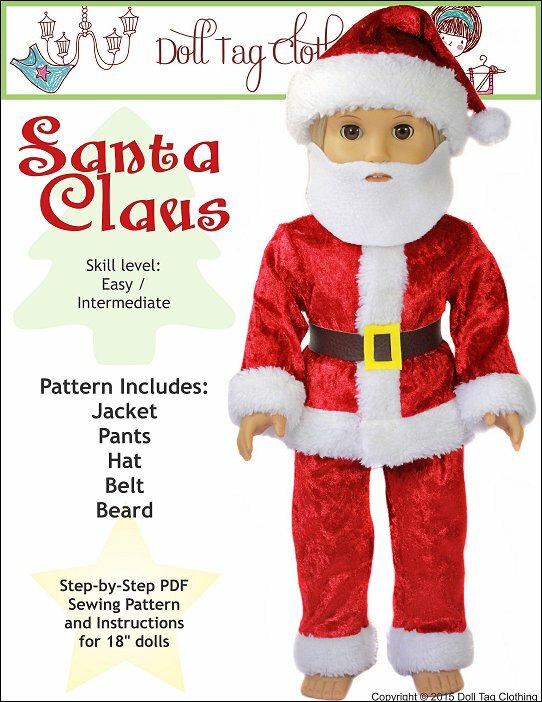 The pattern also includes an easy to make beard! The jacket is closed with snaps in the front. The pants have an elastic waist. The belt closes with Velcro in the back. Materials: Woven fabrics. Look for fabric that has a bit of texture for a more authentic look. Velvet is a little harder to work with so is not advised for beginners. Look around the fabric store and see what nice red fabric you can find. 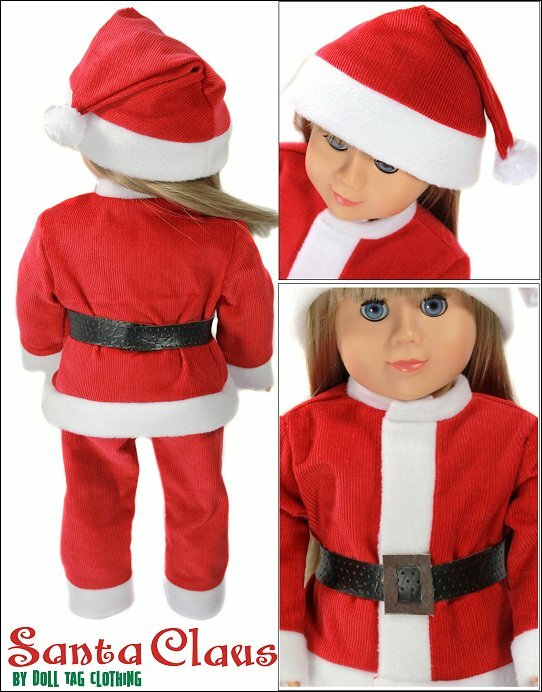 Santa Claus - 18 inch Dolls comes with the following format(s) and is an instantly download after checking out.